Italians love life, laughter and food! On February 26th we will be having an incredible Italian themed evening with food catered by La Grotta Italian Restaurant. Enjoy a fun filled evening in a beautiful setting where we’ll not only enjoy incredible food but an evening filled with Italian themed events! Tickets will be available at WOW this Wednesday, but please email cotrwow@gmail.com by Monday evening as our caterer would like a head count and this will give us a better idea of how much food to order! 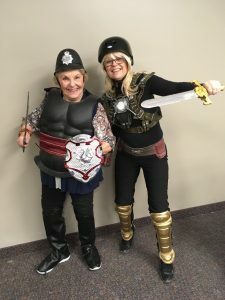 Here’ a little flashback of two of our fearless leaders from WOW putting on their Armor of God! We just want to take this time to thank all of our table hosts who are doing an incredible job of facilitating discussion amongst their small group this session! Blessing as you continue your studies this Wednesday. Wednesday mornings our prayer box is located at the back of the chapel and is there for you! 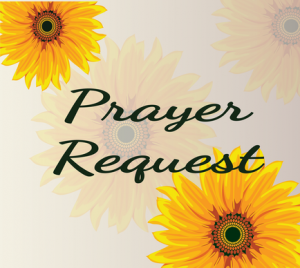 We’ve noticed that some small groups are taking time after their study to complete their prayer requests and submit them into the box. What a fantastic idea! Our prayer team at WOW collects these every week and continues to pray for each request.